Owner Dennis Bigelow began his career in auto body repair back in 1993; by 1996 he was the owner of A1 Auto Body, a 6,000 square foot facility located in East Providence. In 2007 Dennis bought his biggest competitor in the area, Custom Auto Body, and merged the two into A1 Custom Auto Body. 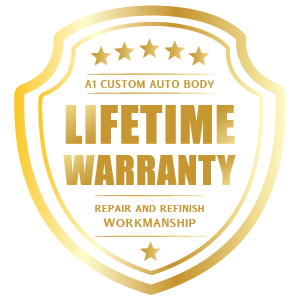 Our current facility is over 18,000 square feet and is Class A Certified for collision repair in the State of Rhode Island; we are also licensed and insured in Massachusetts. Our entire staff is dedicated to positive collaboration, sharing a customer-focused mindset that has been an important driver of success for the company.